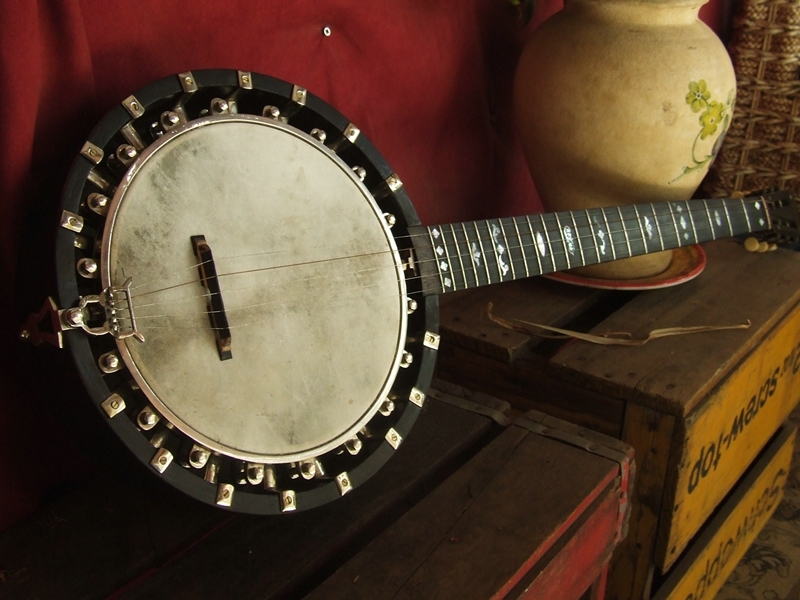 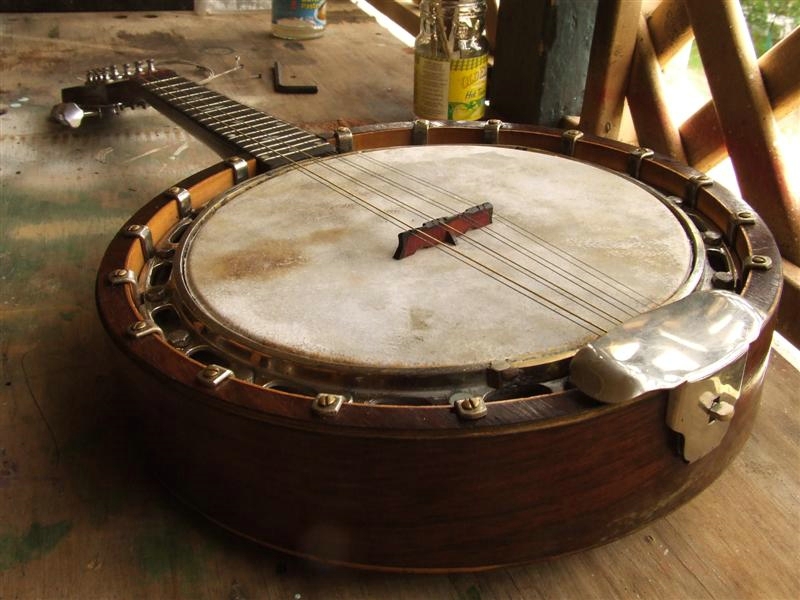 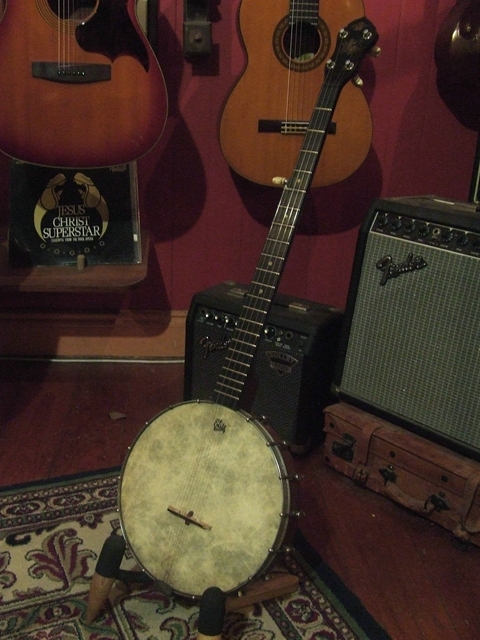 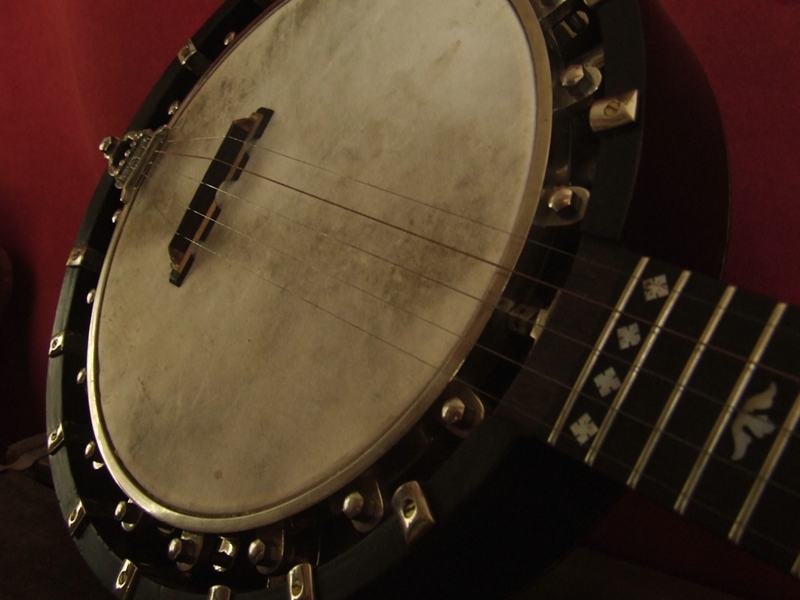 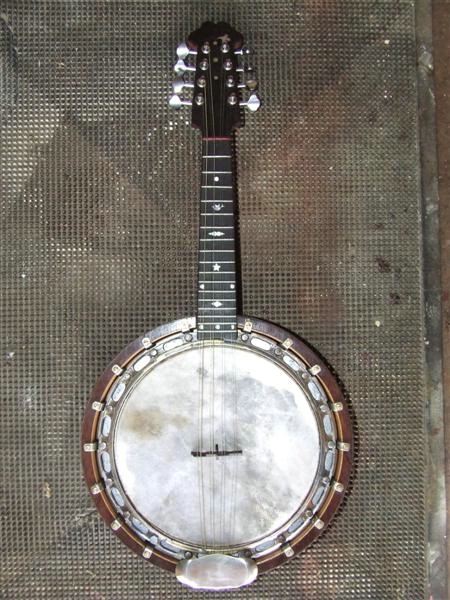 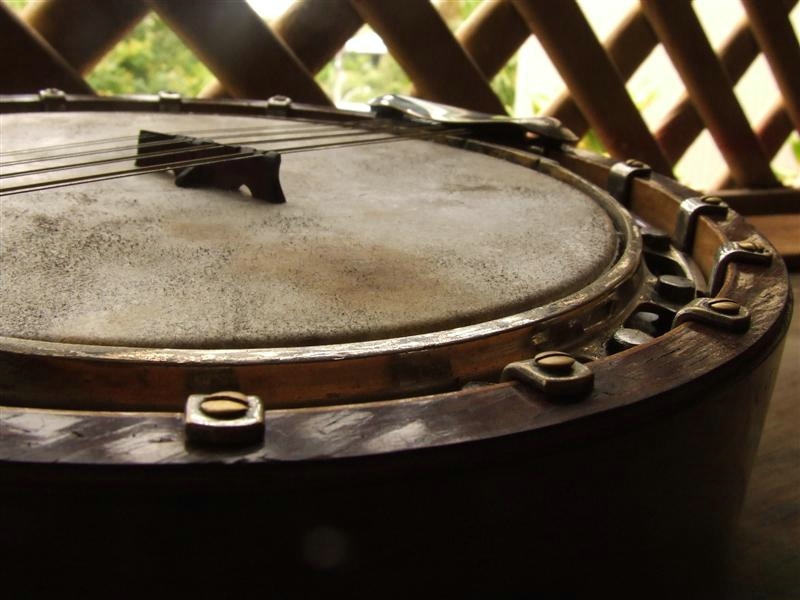 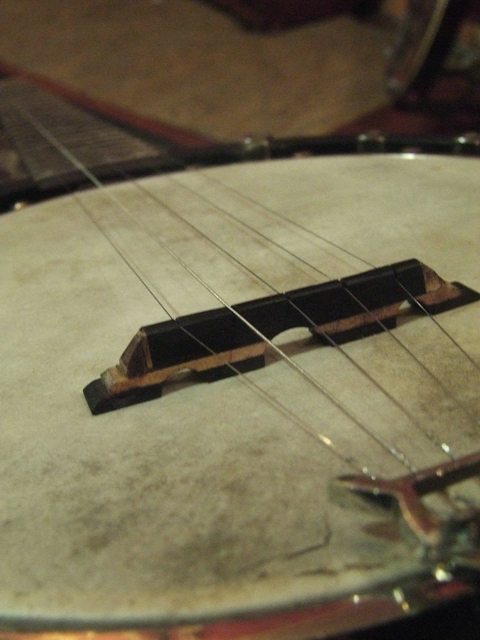 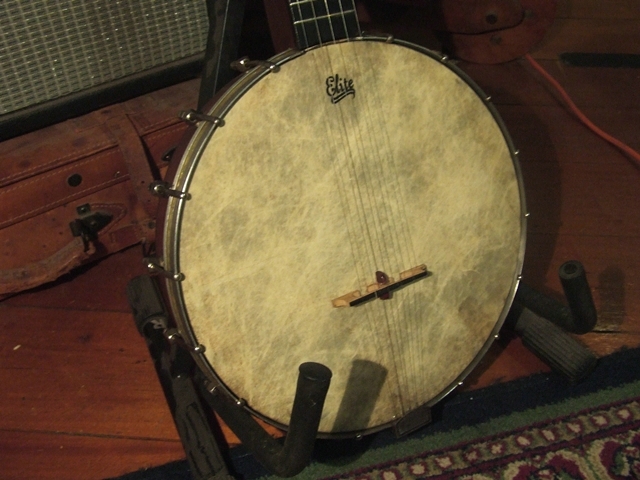 I was showing a client how readily available antique banjo’s were in the USA…. 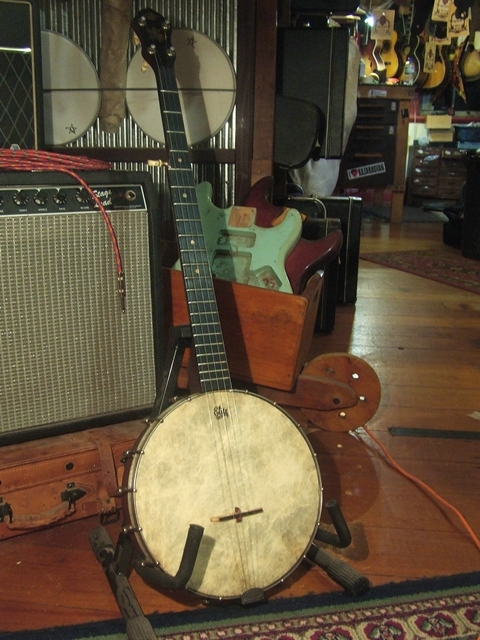 Too bad for said client… I saw this and hit the “buy it now” box and here she is. 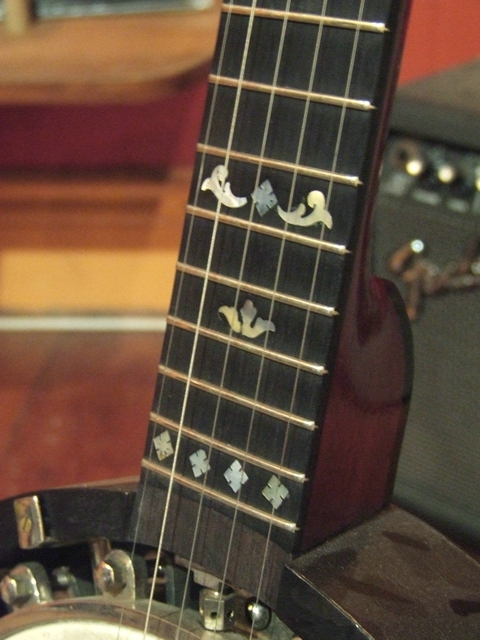 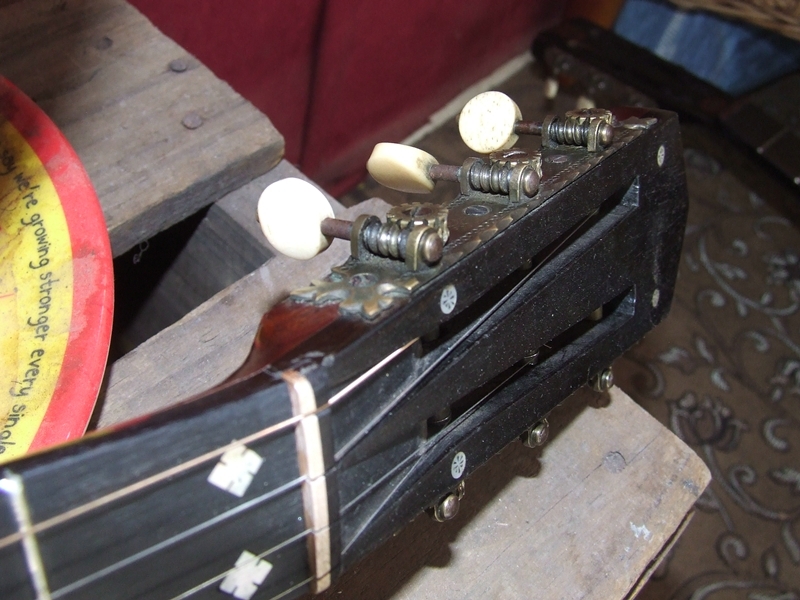 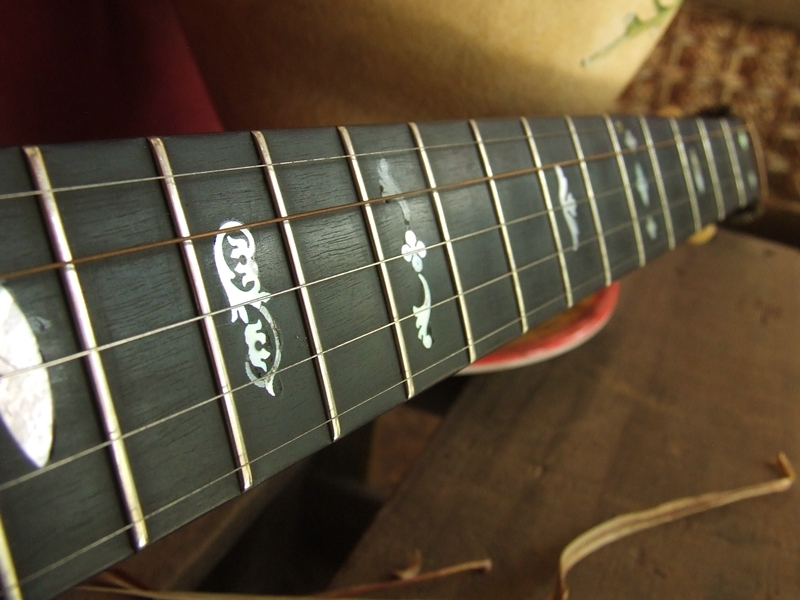 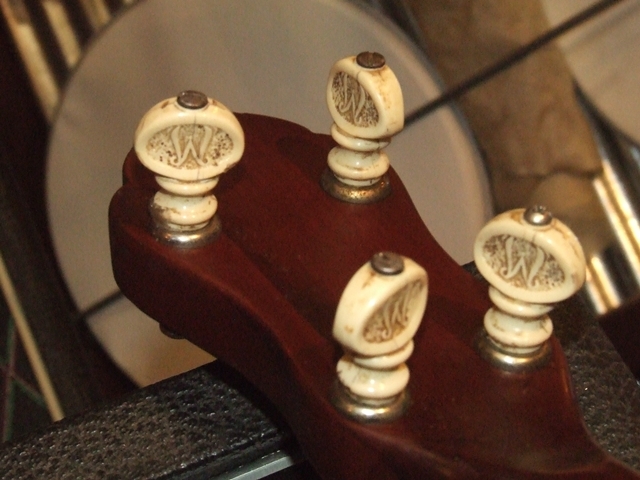 she required a re-fret, neck re-set and set up. 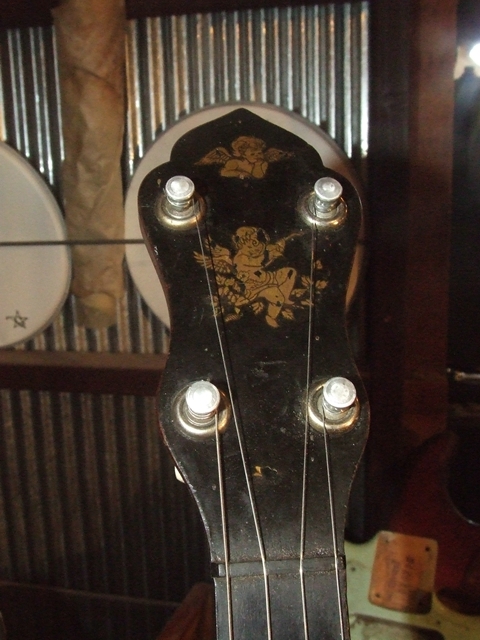 She could be a Slingerland or a Gretsch, as suggested by the quality of the build.